At Anthony James business is ALWAYS about more than just insurance. We are in a unique position to really know our clients’ businesses which is why we work closely with a hand picked group of Business Support Providers – our Professional Partners – to ensure our clients have access to the services they need, when they need them, from a source they can trust. We don’t recommend them because we are paid to do so. We recommend them because we know the quality of what they deliver and we trust them to look after our most prized asset – our own customers. Translink is a specialist corporate finance, M&A and strategic consultancy firm, offering tailored advice to shareholders, directors and managers across a broad range of sectors on company sales, acquisitions, MBOs, funding, grants and debt advisory services. Influential Management Group is a well established and reputable business consultancy offering health, safety, environmental, quality and business improvement advice and support. True MSP Limited is a forward thinking and innovative IT Managed Services Provider delivering effective and reliable IT solutions to a diverse client base. We offer Director level strategic advice to all our clients, as well as IT helpdesk and project services and have expertise in supporting commercial and charitable/not for profit organisations, helping them get the most from their IT Systems. We are specialists in human resource management and training services for business owners and managers across the Midlands. Specialists in providing a range of flexible asset finance solutions to fund any asset purchases you or your business make. 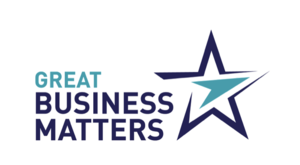 Great Business Matters Ltd are committed to helping business owners realise what they set out to do by improving cash flow and profit, spending their time where they add the most value, leveraging the capability of their teams and building a resilient, scalable business. With ActionCoach’s proven systems you will have the essentials you need to grow your business. We are the trusted accounts team to some of Leicestershire’s leading businesses, helping them to improve profitability and ultimately become more successful. Our focus is on keeping businesses in touch with their finances day-to-day, so their year end and tax work is simply a by-product. Wellbeing4Life works with businesses and individuals to support them to achieve personal and business performance. Our work is underpinned by research. We don’t do gimmicks and we don’t do fads. Instead we support our clients to eat well, to exercise, to manage stress and build resilience and to work in alignment with their values and those of the business. The result? Motivated, engaged, healthy, energised, positive, resilient people and performing, innovative, happy, successful workplaces. Each business and individual is different which is why we take the time to get to know our clients and support them to make transformational changes that work for them. We offer a range of services including health coaching, wellbeing retreats, team-building days, wellbeing strategy and activity plans, communication skills, personal training, workplace boot camps and workplace yoga. The largest family run fleet management and leasing provider in the UK. We provide bespoke solutions to organisations throughout the UK and Europe. We are responsible for over 25,000 drivers in 14 countries and support a combined fleet of over 460,000 vehicles globally. We provide a first class service for business and personal leasing for family cars to executive models to light commercial vehicles. Here at Mocha Marketing, we’re designed to act as an extension of your team, either as your marketing and communications department or in it. No mysterious black art here … just good old fashioned team work, transparency and a joined-up approach. We know how important it is for individuals and trusts to protect the wealth they have accumulated in an ever-changing tax world. Personal and trust tax advice is much more than completing an annual tax return. Proactive and bespoke advice is needed in order to make the most of the tax planning opportunities available – the days of pre-packaged tax schemes are long gone! 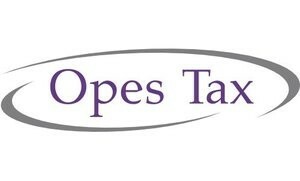 Opes Tax specialises in capital gains, , income, inheritance and trust taxation and we offer all clients a no-obligation initial meeting to demonstrate how we can help you become more tax efficient.